Fashion for me is all about looking comfortable and stylish. This is the reason why I spend lot of time in choosing my clothes. Sometimes when it is my lucky day I am able to locate that perfect outfit for me else I have to come back empty handed at times from mall. Online shopping is again my favourite thing and I keep on looking for new launches and new brands. For me browsing a new website is like visiting a new store. Ellemora Fashions is a new brand that has been added to my list of favourites, why? For that keep reading my review. Ellemora fashion was ideated by Mr. Shanky Kumar and Mr. Shubham Kumar to bring high on fashion and quality apparel for Indian Women. They have dedicated team of designers who conceptualize designs as per new fashion trends. 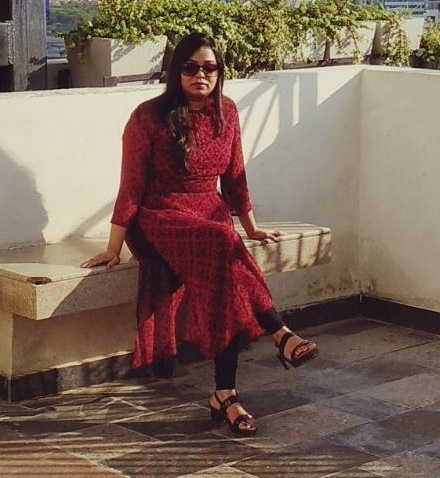 If you follow me on Instagram that you must have seen my recent photographs in a black maroon indo western Kurti that I recently shopped from Ellemora. 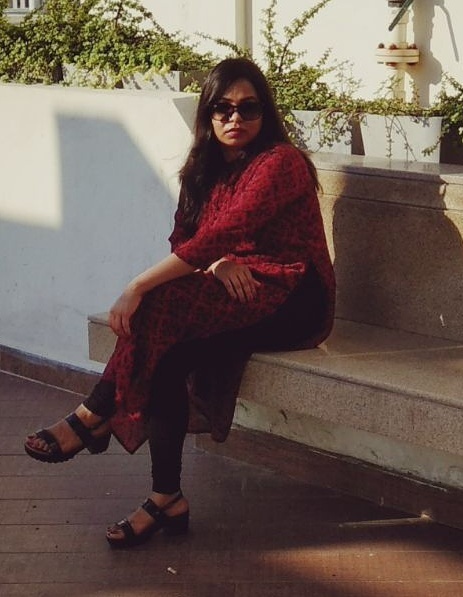 Few days back when I was scanning my wardrobe I realized that either I have ethnic or western wear. I wanted a blend and when I saw the Ellemora Indo-Western collection I knew that this was time to give myself some fashion treat. 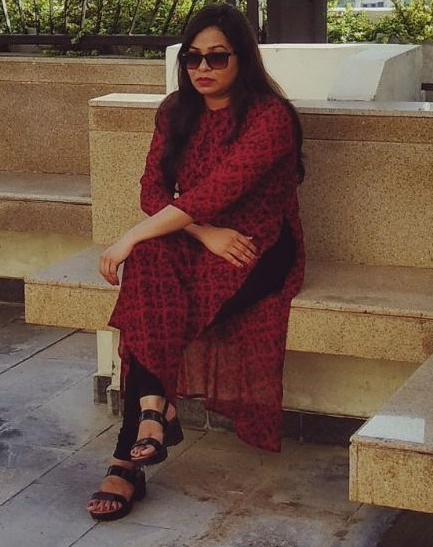 This is a black and maroon printed kurti that has an all over contemporary design. It has long side slits which looks so stylish and make the simple wear more glamorous. Fabric is georgette/viscose with relaxed fit and at times I skip ironing it, haha. The quality of Kurti is amazing and design, look is exactly like what is being displayed on website. Ellemora website is a fuss free website and simple to navigate. You can choose to buy western wear or indo western in stylish designs at affordable prices. 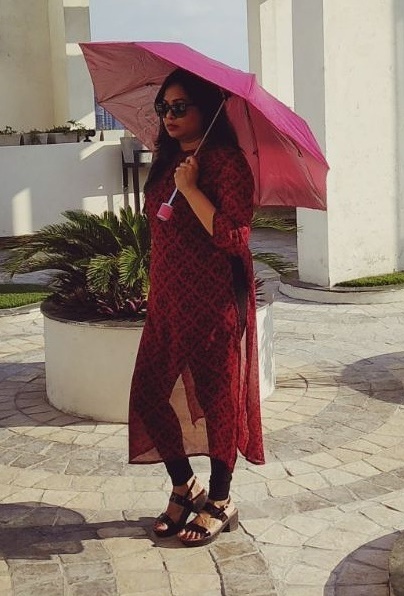 You will definitely find some unique designs on Ellemora to make stylish addition to your wardrobe. 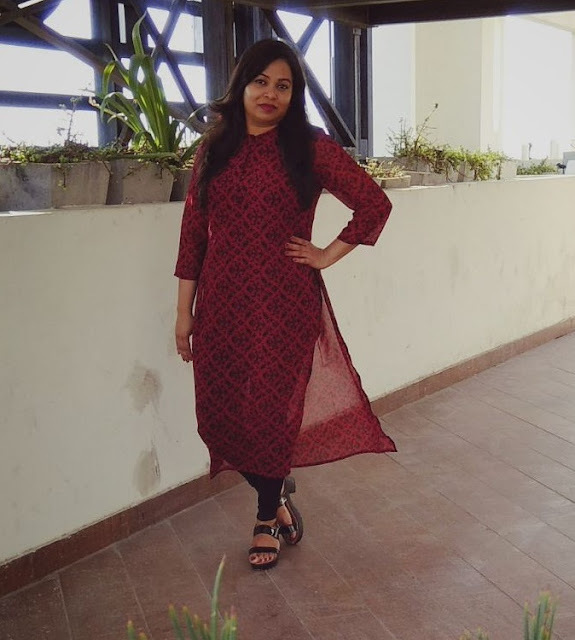 The stylish Kurti I bought was for Rs. 1,250. Since brand is new you might find that their collection is limited, but I am sure they will increase the variety with time. But whatever is available now is worth considering. Product reached me in four to five days of placing the order. Overall I am completely satisfied with my shopping from Ellemora. If you ask me I will completely recommend Ellemora. Although you can check the website and decide for yourself.